This year, a wide range of new putters have been released onto the market, including renowned innovators like Odyssey and Scotty Cameron, while brands such as Bettinardi and Evnroll are continuing to grow in prominence. We take a closer look at the best available, delving into the technology to provide an insight behind the models that you might consider using, as we unveil our guide to the Best Putters of 2019. 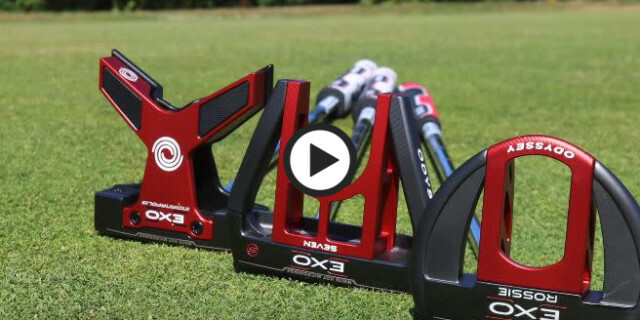 Odyssey’s EXO range represents a meeting of three of their newest innovations: EXO construction, White Hot Microhinge insert and Stroke Lab Weighting. Firstly, EXO is a multi-material construction that delivers an incredibly high MOI design. Milled from a lightweight 6061 aluminium, weight has been removed from the centre of the head and moved to the perimeter. This increases the MOI significantly for more consistent ball speeds and directional control. With the new face Odyssey have taken the iconic White Hot Face and combined it with Microhinge Technology creating immediate forward roll for more consistent accuracy and distance control. Lastly, the new multi-material Stroke Lab Shaft dramatically changes the performance dynamics promoting a smoother and more accurate stroke. The EXO range consists of both face balanced and toe hang mallets so no matter what your stroke there is an ultra-high MOI model to suit you. Find out more on Golfshake by clicking here, or visit the Odyssey website by clicking here. The BB56 is milled from a single block of 6061 aluminium with a 303 stainless steel alignment piece. Robert Bettinardi has added some new technology into the BB56 including a raised centre of gravity. By using the stainless steel for the alignment piece the COG now sits above the equator of the ball providing a more solid contact and a quicker roll off the face. There are also vented channel grooves on the sole and flange to create an aerodynamic appearance at address whilst further improving aim characteristics. The BB56 is finished in a new Stealth Black finish which has a matte appearance, this helps to reduce glare and stands out beautifully over stainless steel alignment piece. Find out more on the Bettinardi website by clicking here. The new all black ER5B is one of the latest creations from putter design specialist Guerin Rife. The ER5B mallet putter is a winged mallet design with a “hatched out” centre section and is milled from a 303 stainless steel. The same “Sweet Face” Technology is still incorporated providing a large sweet spot for improved consistency in accuracy and distance wherever the ball is struck on the face. 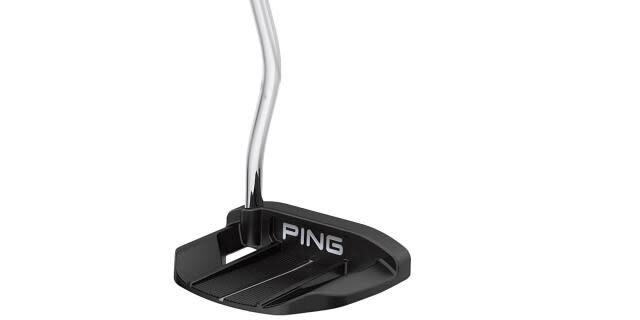 There is a single white line on the back and two black dots on the top of the head making aligning the putter very easy and a low heel bend has been introduced creating more toe hang to help golfers who struggle with pulling putts. The ER5B comes with a black armour finish on the head combined with a black shaft, grip and headcover. Find out more on Golfshake by clicking here, or visit the Evnroll website by clicking here. The BB1 is Bettinardi’s classic blade-style putter and now has improved cosmetic and performance upgrades. Firstly, the neck has been moved slightly forward towards the sweet spot promoting less toe hang. The honeycomb finish that has been a traditional Bettinardi feature has now been replaced with an aggressive Flymill milling which provides and softer feel from the face. 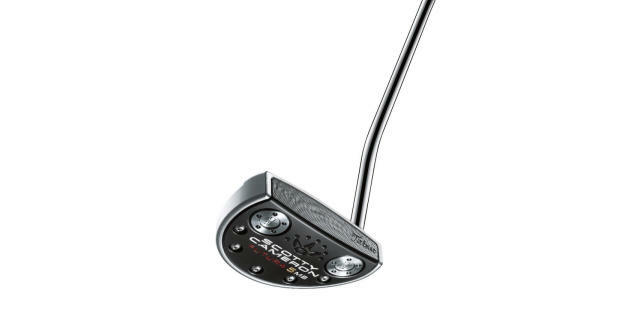 The feel from the face is also enhanced due to the head being milled from a proprietary blend of soft carbon steel. The BB1 is finished in a Stealth Black finish that reduces glare and makes alignment aids really stand out. Odyssey say their mission with the Toulon range is simple, create the most beautiful and best performing milled putters in the world. They start this mission with the face which has deep cross-hatch grooves engineered across it to control the sound and feel by channelling vibration. Each grove designed to improve the quality of the roll. 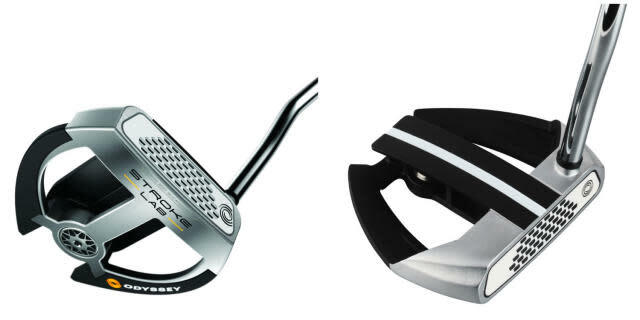 Odyssey have also made Toulon putters available with their new Stroke Lab Design including a Stroke Lab shaft improving tempo and consistency, a 20 gram steel soleplate and a choice of pistol or over size grip. A new Smoke charcoal finish has also been added to all models enhancing the appeal and craftsmanship of the heads. There are nine different heads in the range with the San Diego being just one of them. An expertly crafted, premium milled blade up there with the very best in terms of engineering and quality. 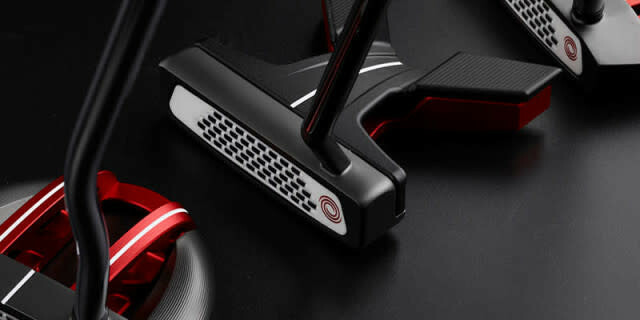 The ER1TS looks very different to most conventional blade putters at address, but there is method in the madness. The head has a huge amount of offset on it with the hosel moving the shaft an inch in-front of the face. This creates a massively high MOI of over 20,000 making the putter incredibly stable. Another advantage to the offset is that is sets the putter in a natural forward press position without having to lean the shaft forward, this promotes a one piece putting stroke which will really appeal to some golfers. The head if forged from a 303 stainless steel and has a silver satin finish. 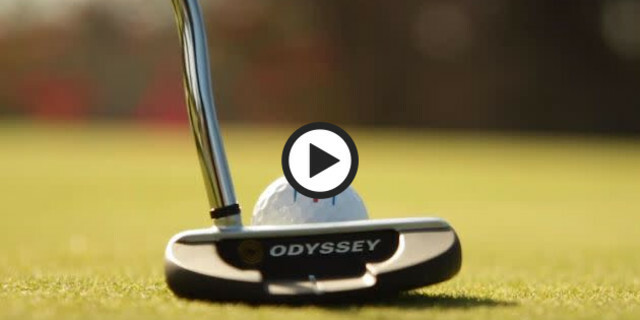 Odyssey’s main focus behind the new Stroke Lab range of putters is to make you more consistent through a new design in the weighting of the putter. They have engineered a new multi-material shaft with a steel tip and a graphite section at the top, this saves 40g of weight which has been redistributed into the head and top of the grip. This effectively creates a counter balanced putter with the head, shaft and grip all working together to improve the balance and consistency of your stroke. Odyssey say that the length of the back swing is improved by 21% with the Stroke Lab putters over the normal Odyssey range. All this new technology is combined with a White Hot Microhinge face insert that promotes more topspin for a smooth roll and accurate distance control. All the Stoke Lab putters include these features and there are 18 different heads in the range. The 7 is just one of them and is a face-balanced mallet design with weighted alignment fangs. The Valor is a new model for Ping and the high MOI mallet design should appeal to a lot of people. Valor has a uniquely designed heel-toe ballast profile making it incredibly stable and with the help of a long alignment line at the back of the head they make the putter very easy to line up. At 365 grams the Valor is heavy and the weight is distributed to the bars going towards the back of the head, this not only gives the putter great balance but also enhances the stability as well. The face is a new design for Ping, the 2-piece Dual Durometer offers a softer feel which will appeal to most golfers. Lastly, like all putters in the Sigma 2 range the Valor is adjustable with a mechanism under the grip that allows you to adjust the shaft length between 32 and 36 inches. The ZB 2 is one of the Strong Arc models in Pings new Sigma 2 line-up and will appeal to those with an open to closed stroke. This new model has a deeper centre cavity and heel-toe weighting increasing the MOI by more than 25%. As with all the Sigma 2 range there is a new Dual-Durometer Face, the front layer is softer ensuring more precision on shorter putts while the back layer is firmer and offers solid feedback and distance control on longer putts. 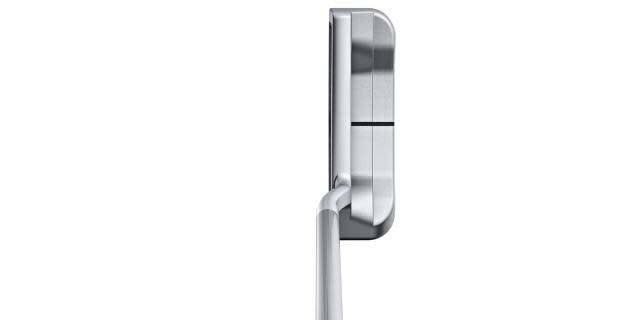 Another thing that runs throughout the range is adjustability, the ZB 2 is adjustable in length from anywhere between 32” and 36” but using the adjustment tool that inserts into the top of the grip. Lastly, Ping have incorporated heel-shafted weighting to fit players with a rotation in their stroke making the overall weight of the head 350g. 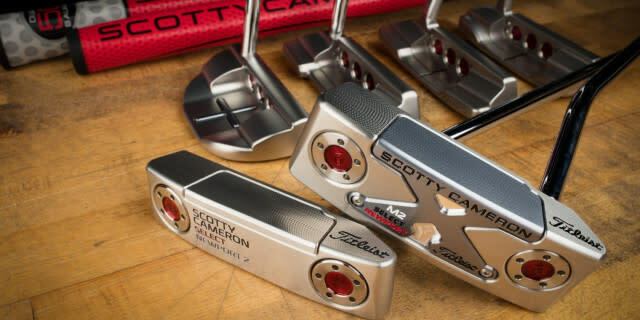 Scotty Cameron’s latest Futura range completely dedicated to mallet. It's a combination of rounded mid-mallets to high-tech, high-MOI larger mallets. Multi-Material technology has been used throughout the range allowing weight to be distributed back and towards the perimeter of the head enhancing the MOI. This works alongside Scotty Cameron’s heel-and-toe sole weighing technology that increases the stability and forgiveness of the putters. A vibration dampening system has also been added that connects the mid-milled face-sole component to the frame of each model giving a soft and responsive feel. Alignment has also been upgraded with pop-through visual cues, rail alignment features and bright lines framing the sweet spot providing more confidence at address. The line-up is very wide so there is a style, length and alignment system to suit everyone. 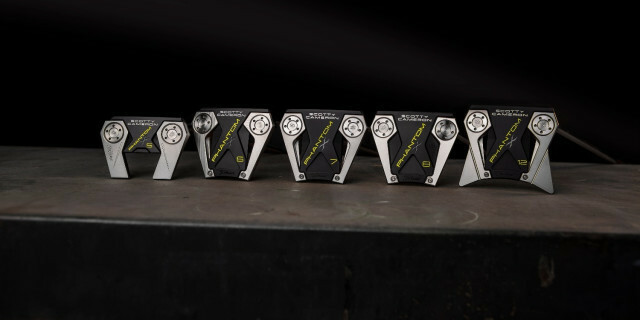 Find out more on Golfshake by clicking here, or visit the Scotty Cameron website by clicking here. 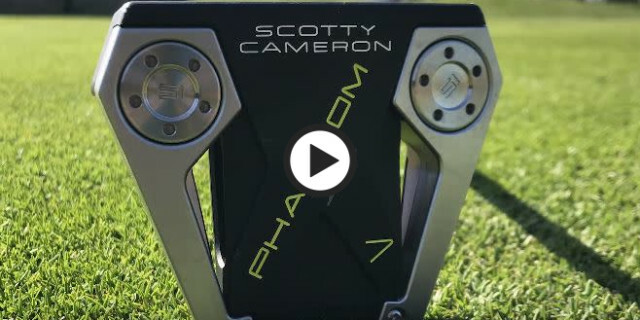 Phantom X is Scotty’s new range of mallet putters and will replace the Futura line up for 2019. 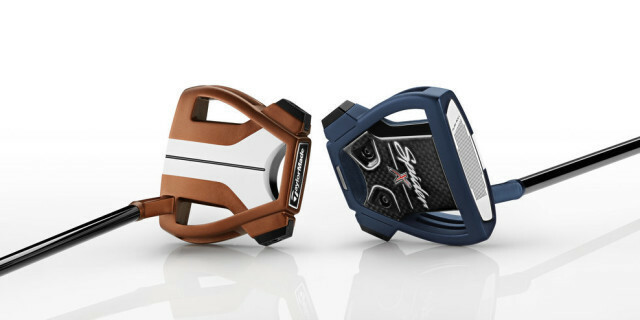 They say that it’s their most technically advanced range of putters to date and consists of five different head designs featuring new alignment options and shaft bends. The heads are all multi-component mallets and are slightly more compact than the previous Futura models. The contours of the head now hug the ground and angle away from you to inspire confidence at address whilst still using aluminium and steel components for optimal shape and weight distribution. The face of each Phantom X is constructed with a standard-milled, 6061 aircraft aluminium which extends back through the flange providing solid feedback whilst preserving a soft feel. A variety of new alignment options are available in the range including continuous lines running from the leading edge all the way back to sight dots that are triple milled and highlighted in neon yellow paint. This all helps to frame the ball better at address. Three different shaft options, low-bend, mid-bend and straight mean that players have more choices with regards to their preferred amount of toe flow. The putters with .5 in the name have a shorter, low-bend shaft with more offset to promote more of an arc in the stroke. The X 5,6,7,8 and 12 models have a taller, mid-bend shaft for a near-face balanced setup to produce less toe flow. The X 6STR has a straight shaft with zero offset. Lastly there is a new Pistolero Plus Grip which has a thicker and less tapered lower section to give the feel benefits of a thinner grip whilst maintaining a slightly more built up feel better suited towards mallet putters. The grip is finished in cement grey with black gloss paint fill. The Scotty Cameron is about as traditional as it gets when it comes to the shape and style of a blade putter. The new Select version has a shorter, rounder blade with a 303 stainless steel inlay whilst still keeping the iconic three-tier design and three red dots. A new integrated vibration dampening system connects then multi-material face inlay to the putter head delivering a soft but solid feel. The heel-and-toe weighting technology carries over from previous models and is matched perfectly to the shaft length providing perfect balance. The Select Newport has a new slightly misted finish and comes as standard with a Matador Select Black grip. TaylorMade's Juno is their version of the classic blade-style putter, and with the Black Copper finish applied it certainly stands out. Juno has a precise mechanical construction and a short, single sight-line on top gives easy alignment while two 10g weights on the sole give the putter great stability and balance. The traditional shape features a slight toe hang and full-shaft offset so will continue to appeal to golfers who like to release the toe through impact. A Pure Roll insert has also been added and it combines 45° grooves with a soft polymer to increase topspin and help the ball start and stay on its intended line. The Juno has slightly squarer contours than some other blade putters and this matched with the Black Copper finish makes it a very aesthetically pleasing putter to look at. A SuperStroke Pistol oversize grip comes as standard. Find out more on the TaylorMade website by clicking here. The new Copper finish of the Spider X certainly stands out, but this isn’t the only impressive feature about the putter. TaylorMade say they have worked to achieve optimal stability and alignment by reengineering the mass properties of the head. The Spider X combines a heavier 320g steel frame with a lightweight 15g carbon composite sole providing extreme perimeter weighting in a more streamlined shape. A new True Path alignment system has been designed to help visualise the target line of the putt and a thicker pure roll insert provides a better sound and feel from the face. The face also features 45° grooves increasing the topspin helping the ball to start and stay on-line. The Spider X comes with a SuperStroke Pistol GTR 1.0 grip and does have the option of a navy blue finish on the head if preferred.